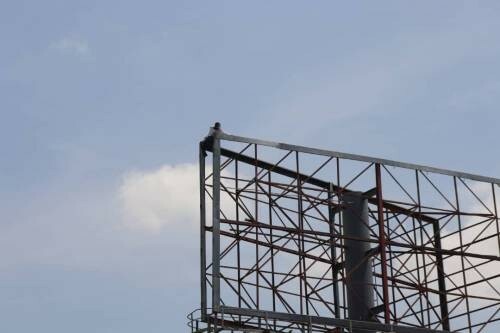 The man who climbed a billboard hanger and threatened to jump down if Buhari does not resign, has been arrested. 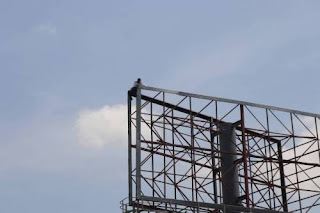 Lawan Faro, the middle-aged man in Yola, capital of Adamawa State, who climbed a 40 metre-high billboard hanger and threatened to fall off unless President Muhammadu Buhari resigns within 12 hours, has been arrested by the Police, SaharaReporters reports. Faro is currently being held in custody at the Jimeta Division of the Nigeria Police in Yola. "At about 8:00pm, some soldiers came by in company of some people who claimed that former Vice President Atiku Abubakar was waiting for me, so I was convinced and I came down,” he told SaharaReporters. 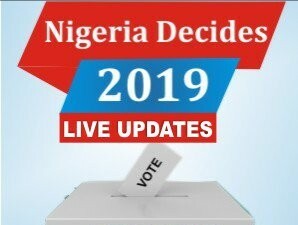 "They had a car parked waiting to take me to Atiku's house, but unfortunately it was a trick because here I am, they brought me to Jimeta Police Station. Speaking with SaharaReporters earlier in the day, Faro had said his action was necessitated by the "extreme poverty" in the land. "I think it’s time for Buhari to give way for someone like Atiku Abubakar to lead us out of the present hardship," he had said.